Our dogs are a very big part of our everyday lives. We have been raising Newfoundlands since 1988 and the Berners joined our family in 2000. Both breeds are absolutely wonderful family dogs. Our dogs are listed on the OFA database for all the health screening as soon as they are of age to have the testing done. We believe this is a very important part of a breeding program. We also believe in what we produce and we guarantee all our puppies for 5 years. Our door is always open. We have worked with rescues over the years and will continue to do so when the need arises. Breeding top quality Newfoundlands and Siberian huskies for show or pet. I breed for health and temperment first and formost AND ALWAYS TO THE STANDARD. All my parent dogs have all clearances befor being bred. THIS IS NOT A INCOME FOR ME!. Why go somewhere else when the best Is right here. Moonribbon Newfoundlands was established in 1989. Our Newfs are naturally reared and raised in our home. Please browse our site and feel free to contact us with any questions you may have. CKC Reg'd Newfoundland breeder in Perth, Ontario. Moonfleet - integrity with dedication. Breeder of quality blacks and landseers since 1985. Breeding to the standard with gentle temperaments and physical health a #1 priority. Well socialized pups raised in my dining room. Written guarantee. 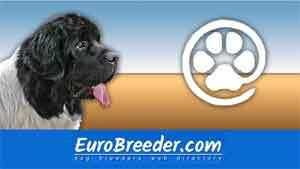 Find Newfoundland Breeders in Europe.